When and how my affinity for fabric and its various uses began, I cannot say for sure. But for as long as I can remember, I’ve passionately enjoyed working with textiles. 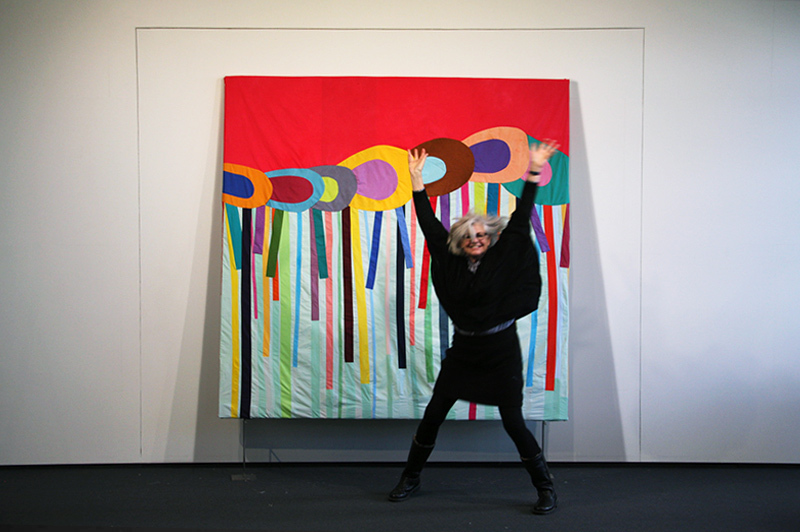 Nowadays I am particularly interested in the possible means of expression beyond the traditional quilting technique. This applies most of all to the motifs, the designs and concepts regarding content. Quilting provides the technical basis for my textile works, but the artistic design remains open, which is why I like to call it “freestyle”. At the moment I am very much interested in fine arts, which have, to a significant extent, become a source of inspiration for my motifs. For this reason, I am currently studying for a degree at art college. I am particularly fascinated by the effect and radiance of colors and their interaction with clearly defined, mainly organic forms.